"Understanding Phenomenology" provides a guide to one of the most important schools of thought in modern philosophy. The book traces phenomenology's historical development, beginning with its founder, Edmund Husserl and his "pure" or "transcendental" phenomenology, and continuing with the later, "existential" phenomenology of Martin Heidegger, Jean-Paul Sartre, and Maurice Merleau-Ponty. 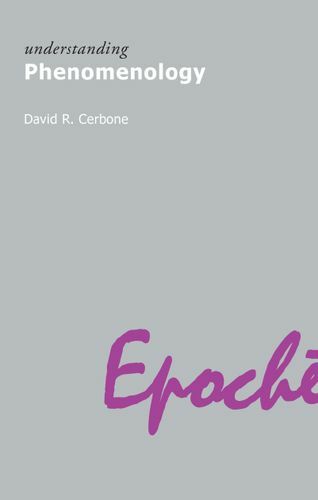 The book also assesses later, critical responses to phenomenology - from Derrida to Dennett - as well as the continued significance of phenomenology for philosophy today. Written for anyone coming to phenomenology for the first time, the book guides the reader through the often bewildering array of technical concepts and jargon associated with phenomenology and provides clear explanations and helpful examples to encourage and enhance engagement with the primary texts.